Did I mention that we made t-shirts? 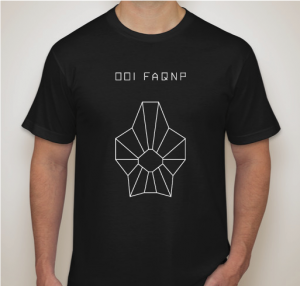 We are stoked for our first FAQNP t-shirt, something we’ve wanted to make for some time. The design is based on the 80s fan favorite vector graphic video game*, Tempest, which you can play on the Atari site. Of course, the game isn’t the same playing without the paddle controller. But such is life. The t-shirt will be available at the NY Art Book Fair 2011, and then afterwards now in our online store. * Did you like the double alliteration? We did. This entry was posted in Events, Products. Bookmark the permalink. Both comments and trackbacks are currently closed.